Two foodie friends taking life one ingredient at a time. This versatile fruit can be the star of sweet, savory, hot or cold dishes. Heck, it’s even a noun and an adjective (e.g. This heat is bananas!). Come on back next week and see what we made with these yellow beauties. Just be sure to watch out for those slippery peels! 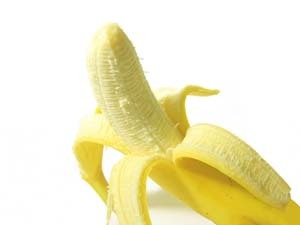 This entry was posted in Bananas. Bookmark the permalink. Steak Salad… and we’re sorry. Want to suggest an Ingredient? Email the chefs at ataleof2kitchens@gmail.com and we'll work on recipes featuring your ingredient!